One of my friends keeps asking me, "How do you find the time to blog?" Great question. 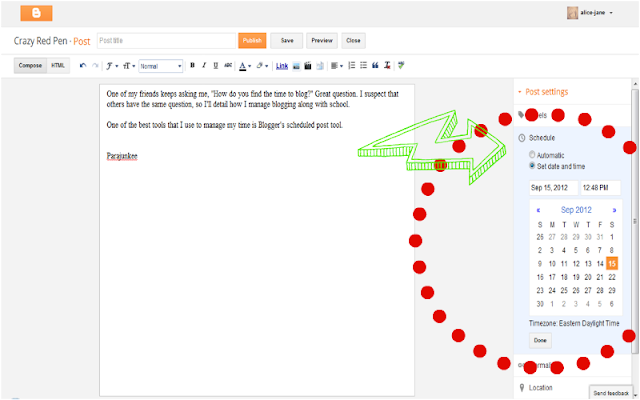 I suspect that others have the same question, so I'll detail how I manage blogging along with school. 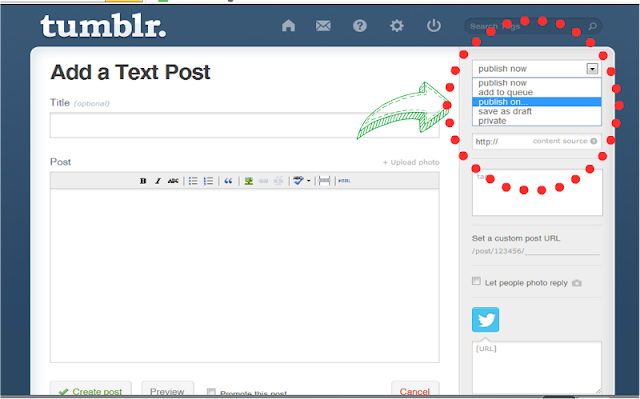 One of the most helpful tools that I use to manage my time is Blogger's scheduled post tool. As Parajunkee said in a recent post, editorial calendars are great. Magazines do this all the time and it's an idea that shouldn't just be limited to print media. Basically what is that articles are written before hand. Why is this good? It frees up your time to social media or do other work. You're still blogging consistently and still having fresh ideas. For me, I write my posts when I have time (usually on weekends) and I schedule them to post on weekdays. I used to write the posts and post it directly, but I felt stressed out by the need to blog on certain days. Another tool that I like is Google Tasks. It's a basically a to-do list in Gmail, which is nice because I usually start my day with email. I write what reviews still have to be done, when I should send out requests and other things. 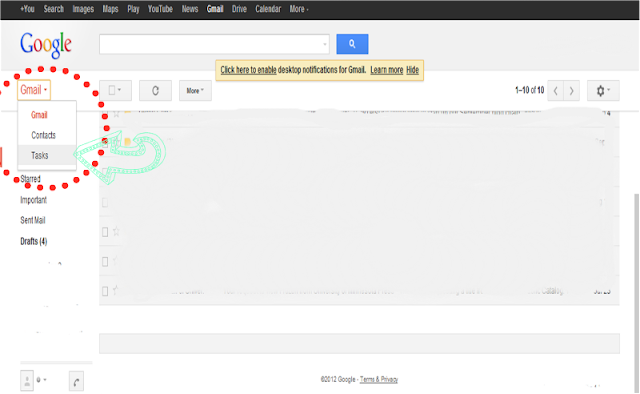 To access Google Tasks, see the following diagram. I check off the tasks as I finish them, which saves me so much time in the long run because when it hits a certain date, I see that I have to send out an email and I do it. If you can see in the above diagram, I have ten emails in my inbox. I archive the things that don't need responses or the ones I've already responded to. My inbox size is decreases and I know what's important in my inbox. Parajunkee also suggested that people use Google Calendars, which can be available as an app on many phones, but I don't use it. However, the basic idea is there, organize your blog and make a schedule for yourself. On the topic of schedules, planning out your day/week is also important. I like to give myself quotas for things, so I can make sure that I have time to do schoolwork and blog. For weekdays, I like to give myself an hour a day to read books that I have to review. I write the blog posts for the posts on weekends or on a weekday if I can time and schedule the posts. Scheduling posts is also helpful since ARCs/e-galleys are sent out one to three months before the pub date and usually the book is finished long before the actual pub date. By writing the posts early and scheduling them, the posts are fresh enough that they contain the opinions, but are posted close to the pub date. (On this note, I usually like to post the reviews within a month of pub date). I hope this helps! Another one will be posted next week about book requesting! time management will learn about this and make good use of it.